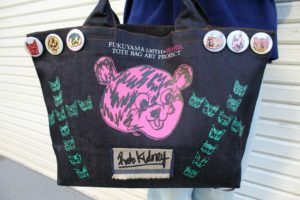 I was asked to join the FUKUYAMA 100th ×ROSES. 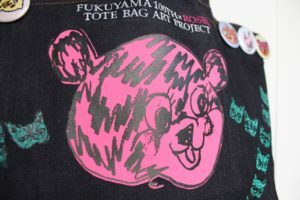 TOTE BAG ART PROJECT that raises money for the ‘Japan Room to Read’ NGO charity. 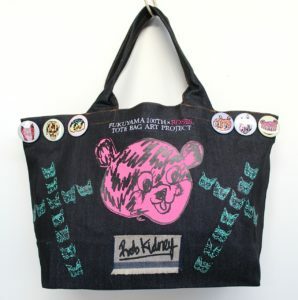 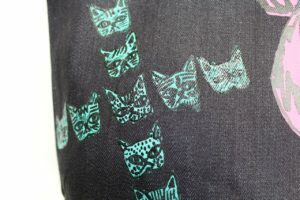 100 artists customized indigo denim tote bags from Fukuyama (Hiroshima/Japan) which are then available on the Yahoo auction Japan site.